Need a Dentist When You’re Available? These days our schedules are only becoming more hectic. Between work demands and your kid’s school and extra curricular activities it’s hard to keep things straight. How can you ever fit your medical and dental appointments in on top of everything else? Your evening dentist in East Islip has the answer for you! What if we told you that you could visit your dentist 7 days week and choose from early morning or late evening appointments? You would probably laugh and say such a dentist doesn’t exist! Well, these are exactly the hours that patients of East Islip Dental Care enjoy, which means we can accommodate ANY busy schedule. It also means that we can always see emergency patients for after hours dentistry. If you or a loved one is experiencing a toothache or other type of dental emergency, we will get you in the same day and treat your tooth so you will be comfortable and back on the path to wellness again in no time. It takes a special team of dentists to take care of patients every day of the week, and Dr. Gary Rosenfeld has hand selected his providers so you will only work with the best dentists. Dr. Rosenfeld has been caring for patients in East Islip, NY for more than 30 years, and he has chosen his team so you will receive comprehensive dentistry and you won’t be referred elsewhere for any aspects of your dental care. Whether you need a tooth repaired, you would like to enhance your smile, or you just need your next dental cleaning, our team can not only meet your needs, but we will also provide you with an exceptional experience. 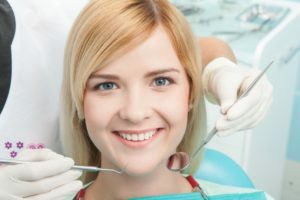 At East Islip Dental Care, we understand that going to the dentist my not feel comfortable for every patient. If you feel fearful or anxious about your dental appointments, we want you to know that you aren’t alone. In fact, there are many patients who feel the same way, and for this reason Dr. Rosenfeld offers options for dental sedation including both nitrous oxide and IV sedation. If you would like to discuss your options for sedation please give our office a call. If you’re ready to work with a weekend dentist in East Islip that values your time and your busy schedule, we encourage you to give East Islip Dental Care a call today to schedule your next appointment. Dr. Gary Rosenfeld is passionate about the patients he cares for, and that is why he is dedicated to offering convenient hours and high quality dentistry designed to meet each patient’s individual needs. If you would like to contact Dr. Rosenfeld you can reach him online through his website or by calling 631-581-8600. Comments Off on Need a Dentist When You’re Available?